There’s something special about stone flooring. It conveys a sense of elegance and abundant style that is second to none. We offer a wide variety of stone tile in Sugar Land, TX. Our products cater to your personality, your budget, and your need for sophistication. Even though we have a large showroom with a huge selection of flooring products, we never compromise when it comes to providing outstanding customer service. The friendly team at our store is more than willing to help you in your selection of stone floor tiles. Whether you want granite, slate tile, travertine, or another type of natural stone flooring, we’ll help you achieve the classy look you want in your home. 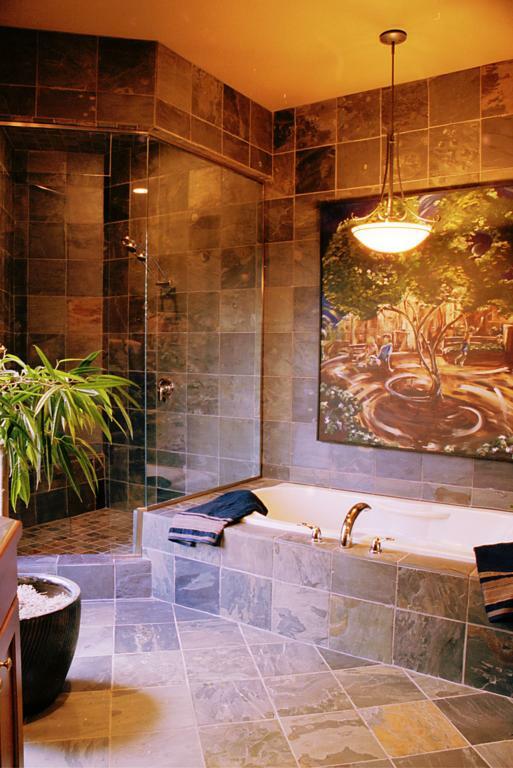 At the same time, if you need stone tile work, we are your go-to source for installation. We are proud of our friendly sales teams as well as our expert installers. In fact, because we value your business, we even provide measurements in advance. Stone flooring doesn’t need to be expensive. Save money by depending on us for premium products and affordable work. Choose the style, the size, and the price you want for your stone floors. Then allow us to provide comprehensive and convenient stone tile installation. It’s that easy! We work with your budget and schedule to ensure you are completely satisfied with our services. Whether you want to install limestone flooring in your bathroom or travertine tile throughout your home, we are fully equipped to handle projects of all sizes. It takes training and experience to install stone floors correctly. As floor installation experts, we know how to prep floors properly to ensure a sturdy and level foundation. After installing your new floors, we’ll even provide tips on how to care for your stone tile floors. Our primary goal is to ensure you are completely satisfied with our team, our services, and our premium products. Schedule a free consultation if you need new floors in your home or business. We also offer financing plans to make your purchase even more affordable. Contact us for more information about the latest stone floor products we have in stock. We are proud to serve customers throughout Sugar Land, Missouri City, Stafford, Fort Bend, and Sienna Plantation, Texas, as well as the surrounding communities.